If you live in Texas and want to see a PlexiDor pet door in real life, there's a great opportunity coming up October 19-20, at PetFest just north of Houston. Doggie-Do-Rite from Houston is a family owned company that has been a dealer and installer of PlexiDor dog doors and cat doors for over ten years. They will display the doors at PetFest 2013, held in Old Town Spring, 20 minutes north of Houston. The people at Doggie-Do-Rite are experienced and know the ins and outs of most pet doors available on the market. The company owners share their life with several pets, and put an emphasis on keeping pets safe and happy. PetFest is an event dedicated to finding homes for animals in shelters and rescues in Houston and surrounding areas. 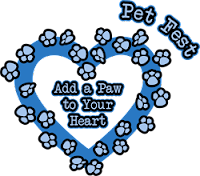 The festival offers fun, entertainment, and education while helping raise money, volunteers, and foster homes in order to save as many pets as possible.